A space elevator at last; ADAS as a technology driver; protocols for the IoT; specification languages and functional flaws; racing prototypes; an HLS experience; thermal and the world outside the package; the coming sensor explosion. Several of this week’s top reads from Ansys’ Justin Nescott sound like they’re straight from the pages of sci-fi novels (and comic books). An MIT project is getting close to creating the Iron Man suit, one company plans to finally build a space elevator, and Los Angeles takes an innovative approach to fighting the California drought: 96 million black plastic balls. Smartphones are so yesteryear. Ceva’s Eran Briman implies that the automotive industry may quickly become the driver of advanced technology and it all starts with the desire for ADAS. Pratul Sharma talks about an alphabet soup of protocols within the IoT space for ARM’s Connected Community and tries to make sense of all of them and how to apply them. 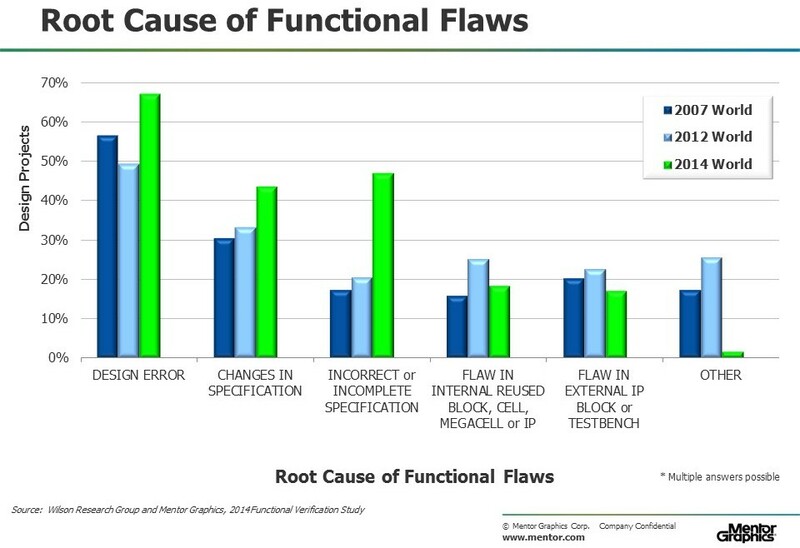 Mentor’s Harry Foster has a surprise finding in his latest episode of the 2014 Wilson Research Group Functional Verification Study which shows that the lack of a specification language may be the biggest problem being faced by design teams today. How fast can that Subaru Wagon race car go? Synopsys’ Michael Posner applies similar reasoning to the performance increases you can expect from the latest Xilinx chips in your prototype. How do you achieve first-silicon success with at least twice the productivity by using HLS? Cadence’s Christine Young outlines how Socionext achieved those goals. NXP’s Christopher Hill is getting hot under the heatsink when he finds that the world outside of the package is irrelevant for pulses up to 1mS. The global smart sensor market will hit $21.6 billon by 2019, and Rambus’ Aharon Etengoff takes a look at a new report on what will be driving the demand. Editor in Chief Ed Sperling finds that after years of progress in semiconductor design, it might be time to rethink the path forward…and clarify the numbers used along the way. Executive Editor Ann Steffora Mutschler finds a growing demand for comprehensive power modeling. Mentor’s Arvind Narayanan explains how to improve power network integrity and reduce voltage drop during design implementation. ARM’s Brian Fuller digs into designing for the most constrained thermal environment. Rambus’ Loren Shalinsky examines how different pieces fit together in the memory world and where there are still gaps. Calypto’s Anand Iyer notes that the migration to finFET processes requires a serious focus on dynamic power consumption. Synopsys’ Ron DiGiuseppe observes that not all IP supports stringent automotive requirements.